WIth the recent announcement of Fallout 4 and the release of its first trailer, gamers from all across the world are excited to once again walk across a deserted nuclear wasteland. But to really appreciate (and enjoy) how Fallout 4 will fit into Bethesda’s entire body of work, here are 5 amazing PC games Bethesda has made. 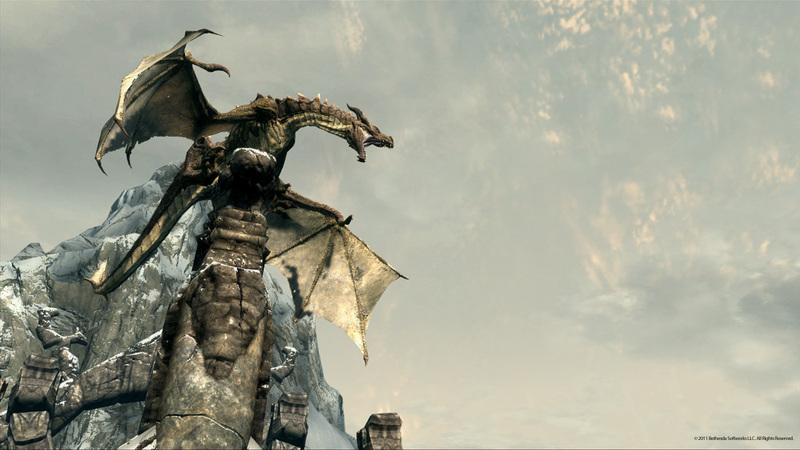 Elder Scrolls V: Skyrim puts the player into the shoes of the Dovahkin, a legendary Nordic hero who’s prophesied to save the world from the apocalypse and the dragon that was destined to bring it about. 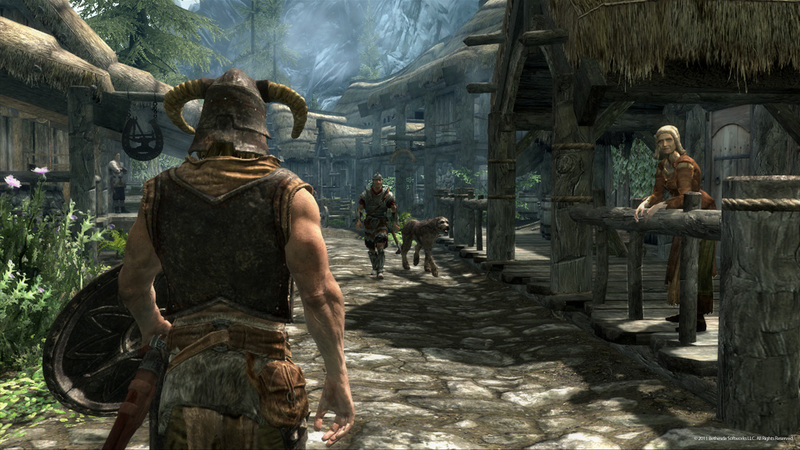 Skyrim has sold over 20 million units, and since its release, has seen to it that open world games are no longer optional; they’re necessary in today’s gaming market. With E3 coming up, keep an eye out for the number of open world games compared to the number of linear path games. I wouldn’t be surprised if Skyrim was the one who motivated this sudden shift to open world exploration to tell a story. 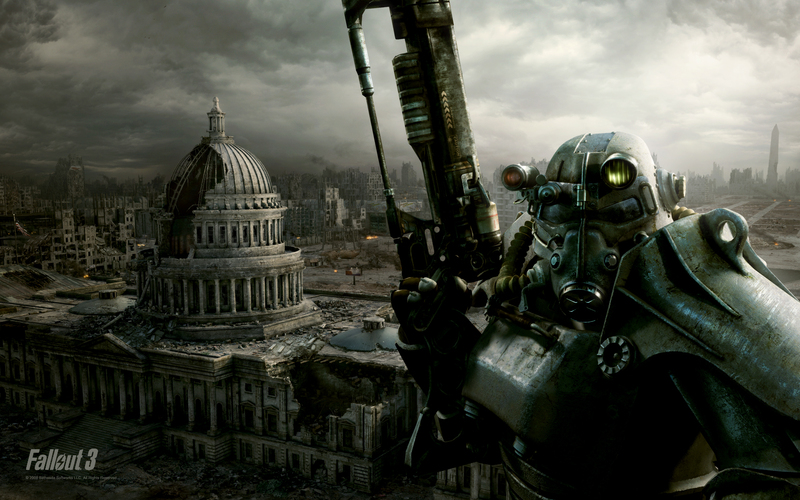 Fallout 3 is set 200 years after a nuclear war has reduced the earth into a series of wastelands. You start the game in vault 101 as just another survivor, but soon escape out into the world to carve your own path. Fallout 3 had a memorable and unique style that continued on to its sequel, Fallout 3: New Vegas, where players could walk around the ruins of the Vegas strip. Easily, this series was one of Bethesda’s best games next to the Elder Scroll series. 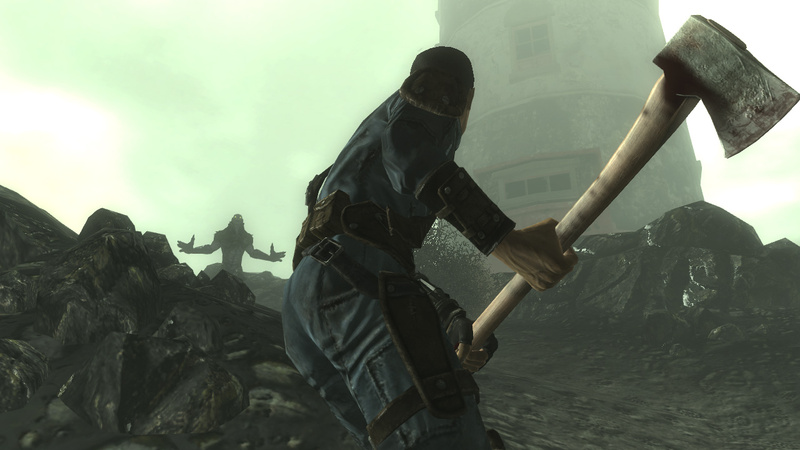 Fallout 4 is set to be the latest addition into the franchise. In Dishonored, you play as Corvo Attano, the Empress’ bodyguard. Early in the game, you’re framed for the murder of the Empress and the kidnapping of her daughter (thus the game title). From that point on you are fighting to kill the actual conspirators behind the Empress’ assassination and restore order to the kingdom. Compared to the previous two games, Dishonored didn’t get as much fame as I believe it should have. 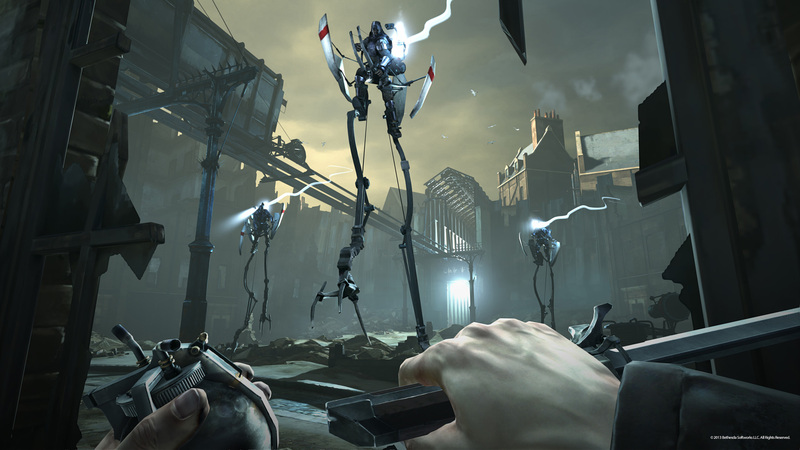 The game takes place in a steampunk version of London that is struggling to deal with the plague. While this game can play out like a first person version of Assassin’s Creed, it doesn’t have to. Players are free to choose how they want to complete the mission so long as the target at the end of it dies. What judges whether what you are doing is good or not is the “chaos” system which tracks how much violence you’ve caused. If you’ve caused a lot then it can affect how other NPCs can view you and how the story progresses. This game felt more like Bethesda taking a stab at what made Bioware so famous, and doing a pretty decent job of it. 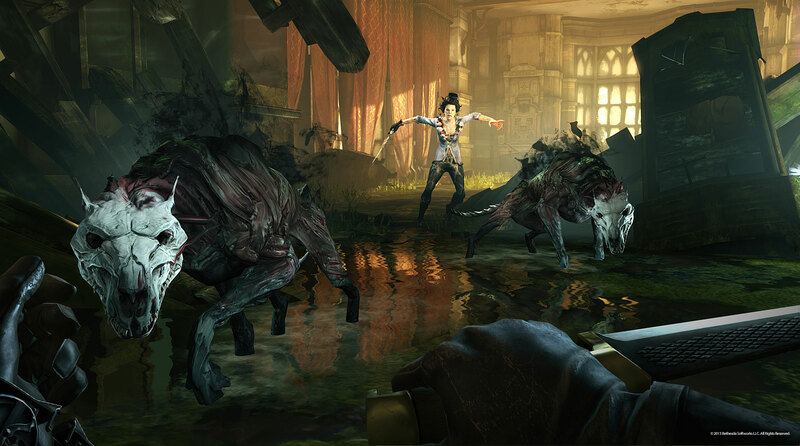 In Dishonored you can control an army of infected rats. Ha, get him my minions! Evil Within has players taking control of Sebastian Castellanos, a police detective. You start the game investigating a gruesome mass murder when suddenly, your team is ambushed by a man in a white hood. From there, the game takes a page out of Silent Hill and you will find yourself traversing a realm where the dead are out for vengeance. This game was marketed as the newest game to be directed by Resident Evil’s creator Shinji Mikami. The gameplay feels more like Gears of War meets Resident Evil, except in order to permanently kill some of your enemies, you have to walk up them and drop a match on their bodies. Melee combat at times can be hair-raising. If you’re lucky you can get an axe like here, other times you’re stuck with just a bottle and a dream. Players are thrust into a world where Nazis won World War 2, and their technology is years ahead of where it should be. The character you play as, William Blazkowicz, is put into a coma after the allies failed to raid a Nazi research facility and awakens 14 years after the war was lost. Now, he has to find a way to survive a Nazi controlled world. This game created a dark and gritty world where Bethesda could explore what made the Nazis such an evil force in the world while also taking the player by the hand and showing them that even in these dark scenarios, some people find a way to do good in the world. The technology the Nazis had during this time was so advanced, their weapons look more like modern day guns than the guns of 1956. Now that we’ve seen Bethesda’s best work, hopefully Fallout 4 will be able to make it onto this list and do better than its predecessor. Based on the trailer, I think gamers can trust Bethesda and sleep well knowing that the franchise they’ve come to know and love remains in good hands.